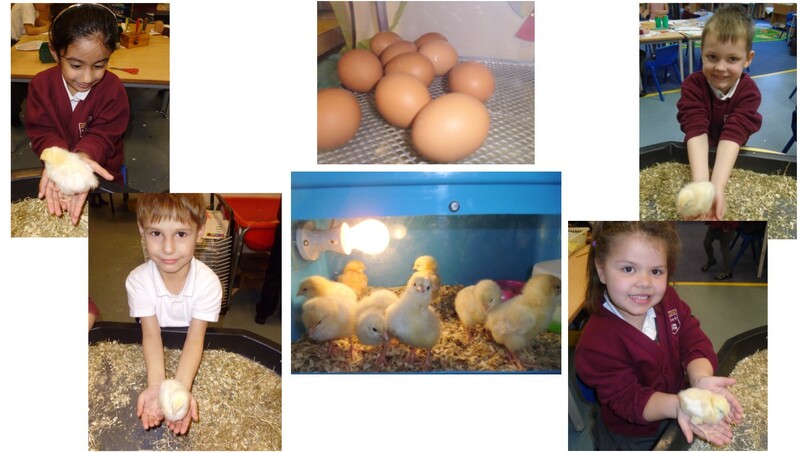 Chilcote Primary School: Reception's wonderful chicks! We've really enjoyed spending time with our class chicks over the last two weeks. They came to us as little eggs and we have seen them hatch and grow into lovely little chicks. We have one female and seven males! We enjoyed holding them and hearing their happy chirping. We will miss them when they go back to the farm.